This visually stunning take on sangria gets its kick from tequila instead of brandy. Mix it up with fruit and juice, then top off with your favorite Spanish red wine. A mustard glaze, rich with the flavors of rosemary and thyme, is the perfect complement to these thick salmon steaks. 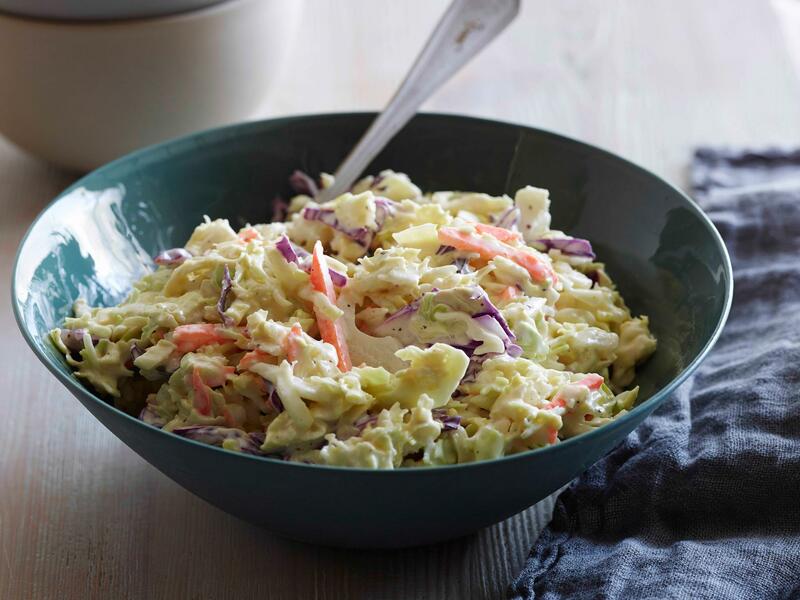 Ten minutes are all you need to whip up this classic, crunchy coleslaw, and the dressing is made with ingredients you probably already have in your kitchen. Get ready to pile it on thick; these treats are stacked to the ceiling! Tonight on the Best Thing I Ever Ate, star chefs explore their favorite layers of goodness, from surprise rainbow cakes to plantain lasagna to Grasshopper-flavored Baked Alaska. Tune in at 9pm ET. Replace high-fat condensed soup with your own creamy mixture, and savor the flavors of childhood for dinner this week. 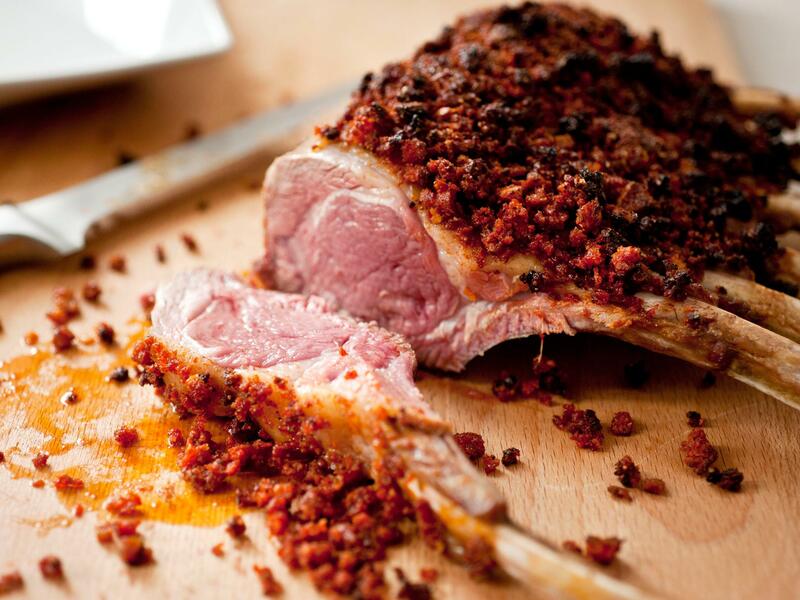 A paprika and garlic rub gives a rack of lamb delicious, smoky depth and a beautiful amber crust. The best part? This guest-ready main is ready in just over a half hour. 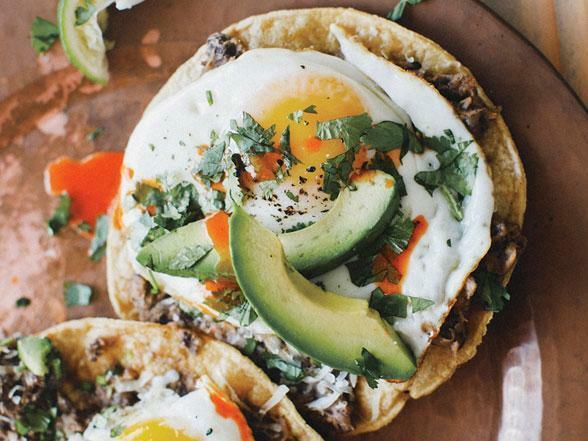 Looking to kick off your weekend the healthy way? Here are some tips from a registered dietician on how you can throw together a quick and healthy breakfast that will help you power through your day. 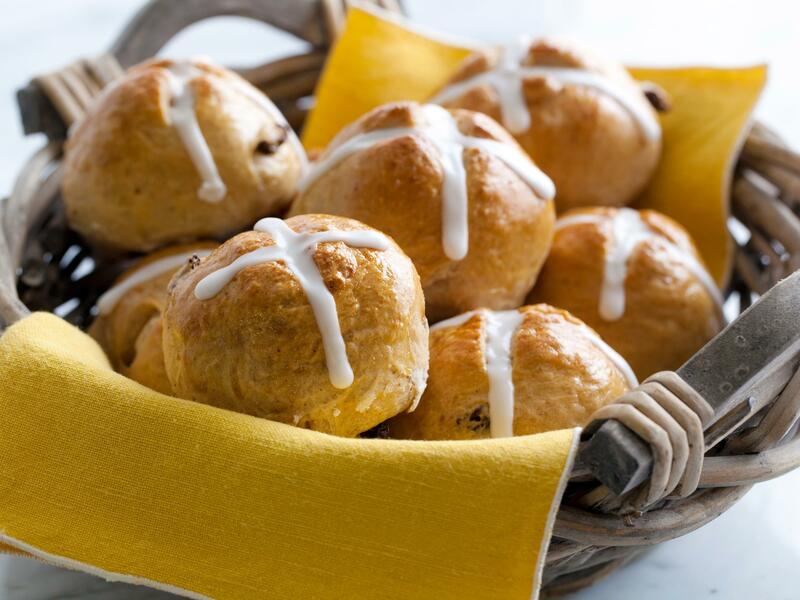 These sweet, spiced Hot Cross Buns are believed to represent the renewal of nature during the spring season. Who knew a tasty pastry could have so much power! Oh yes. Looking for some tailgate eats to hold you over until the last #MarchMadness games of the day? 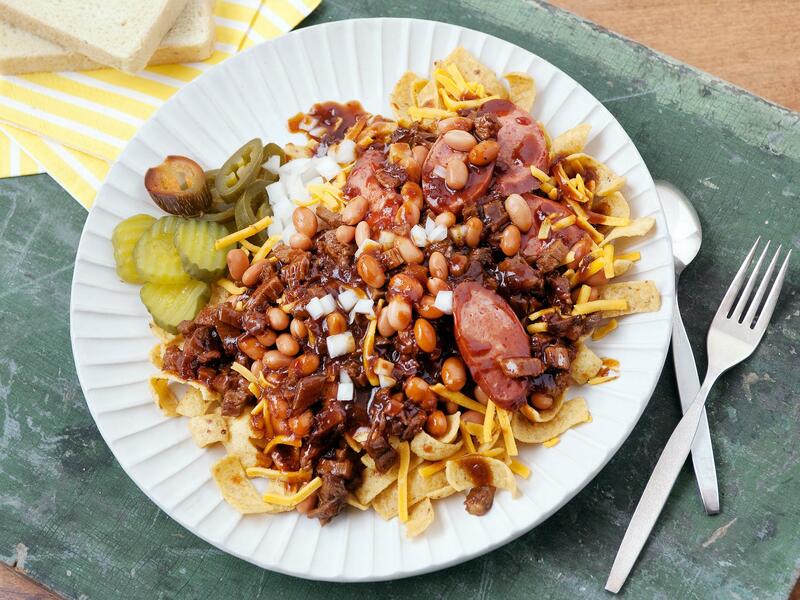 Try the Gut Pak—an epic plate of corn chips, beans, cheddar and two types of smoked meat—courtesy of Baylor University. 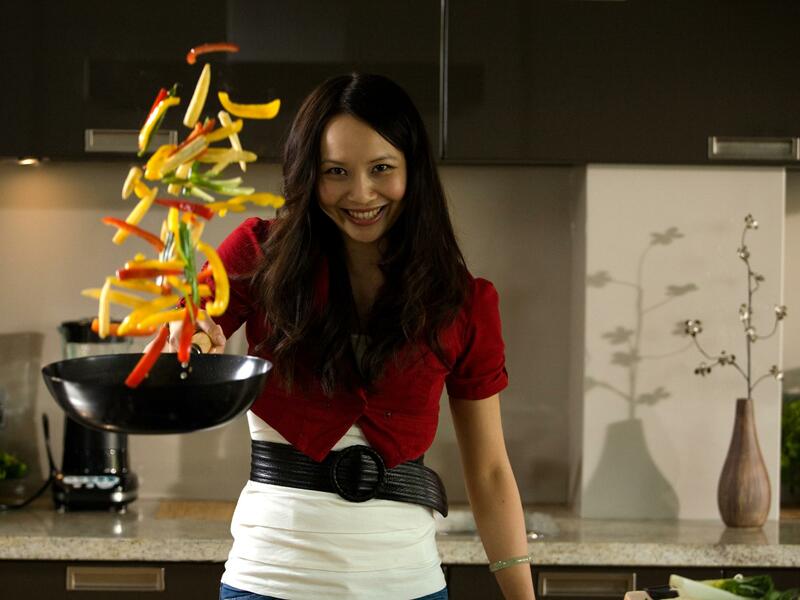 In this video, Ching-He Huang gives you all the tools you need to create a perfectly balanced stir-fry by mixing yin and yang ingredients, flavors and textures. Cruise on down to Orange County, California, with Casey Webb as he tastes a spaghetti grilled cheese, a teriyaki cheesesteak burrito and a three-pound burger slathered in a sauce made from three of the spiciest peppers on the planet. Tune in for Man V. Food tonight at 10pm ET. A duo of golden and red roasted beets combined with salty feta, peppery arugula and a smooth white balsamic vinaigrette makes this beet salad a perfectly balanced lunch (or dinner!) for any day of the week. It's time to put this twisted bond to rest. Friends of Albus Dumbledore are never in short supply. Friends of Albus Dumbledore are never in short supply. : Friends of Albus Dumbledore are never in short supply.